Jennifer D. Sims has a diverse practice that primarily focuses on litigation. She has experience handling EEOC charges and employment-related lawsuits, including discrimination, retaliation, and wage/hour claims, as well as contract disputes. Mrs. Sims also regularly advises clients on day-to-day employment matters, including personnel policies, classification and leave issues, and updates to employee handbooks. 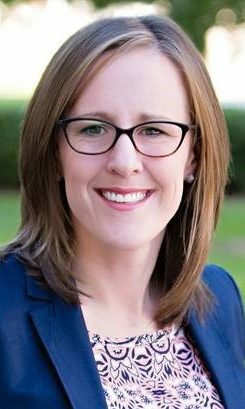 Jennifer is an editor for BLR’s HR Hero Mississippi Employment Law Letter and has authored employment law articles pertaining to Mississippi employment law for HR Professionals Magazine. Prior to joining the firm, Mrs. Sims was a partner at a Louisiana law firm, where her practice focused on employment, municipal, and construction matters, including her serving as the City Attorney for a Louisiana municipality. Jennifer also has experience with medical malpractice medical review panels and lawsuits and law enforcement liability claims, and she has also served as an adjunct instructor of sports law at Louisiana State University’s E.J. Ourso College of Business. Jennifer is AV Preeminent Peer Review Rated and was named a “Rising Star” by Super Lawyers 2015 through 2018.